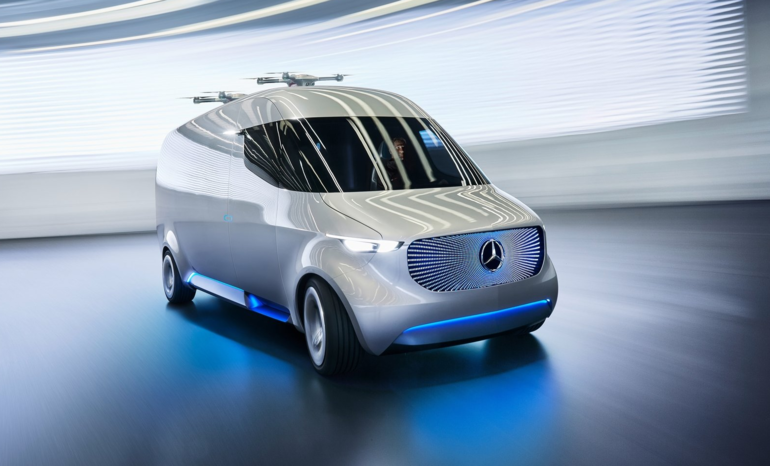 The Mercedes-Benz Concept IAA plug-in hybrid looks as if it were from a different planet and it has certain features that uphold that curiosity. Silver Star Mercedes-Benz Montreal wants to confirm that it is from this planet, but Mercedes-Benz used futuristic technology that resembles a “Transformer.” So car enthusiasts assemble because this vehicle is something you have probably never seen before. The Concept IAA is designed to optimize aerodynamics in every way possible. At first the vehicle resembles a modern day sedan, but once the 279-horsepowered engine brings the vehicle’s speed to 49.7 mph, the Concept IAA undergoes its transformation. Panels around the entire vehicle become deployed to increase the aerodynamics by decreasing the vehicle’s drag to a world record coefficient of 0.19. In the aerodynamic mode, the vehicle has an electric driving range of 41 miles.